At Canadian Refunds, we understand the importance of respecting your privacy. This statement discloses the privacy practices of Canadian Refunds Inc. Canadian Refunds Inc. is committed to protecting your privacy and ensuring that your visit to our website is completely secure. All of our information is held in strict confidence. We do not sell or share our customer list with any other entities. We do not share our customer information with any entities other than Canadian Refunds' counsel and Canada Revenue Agency, if applicable. 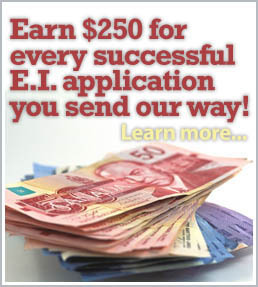 Customer information such as names, business addresses, phone numbers, business numbers and social insurance numbers are collected for the sole purpose of providing EI Savings and SR&ED credits as described in our printed materials, website, and other communication materials. 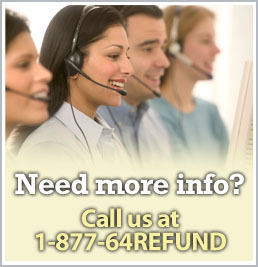 Canadian Refunds Inc. only saves such personal information that is necessary for you to access and use our services. This personal information includes, but is not limited to, first and last name, email address, phone number, other payment processing information and document creation data. Upon request, we will delete your personal information. The information you provide when you prepare a claim on our website is held strictly confidential. For this reason, it is essential that you provide a valid email account that will not block email from Canadian Refunds Inc. If we need to contact you to provide a password, we can only contact you through the email address associated with your original purchase. Protecting your confidential information is important to us. It is our strict policy that we do not give out passwords over the phone no matter the circumstance.